In this, her boldest collection to date, Mimi Khalvati takes the weather, the seasons and the passage of night and day as the ground on which she draws her emblems of human life and love. 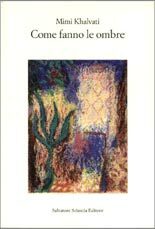 Restricting herself in each poem to sixteen lines, set in couplets, Khalvati plays kaleidoscopic variations on this form, the lyric falling differently each time, yet the book as a whole retaining a powerful coherence. As the scene shifts from London to the Mediterranean to the Canaries, the poems gain resonance from each other with cumulative intensity, spinning connections across scale and distance. 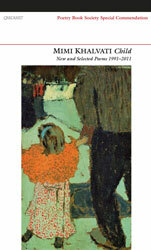 The Weather Wheel is a radiant celebration of the living world despite the loss that lies at the book's heart..
Child: New and Selected Poems 1991—2011 combines a generous collation of poems from Mimi Khalvati’s five Carcanet volumes with previously uncollected sequences. 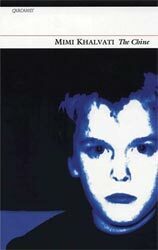 She orders her work autobiographically: from childhood and early adulthood; to motherhood; meditations on light; and love and art, circling back to childhood in her celebrated final sequence (‘The Meanest Flower’). The figure of the child stands at the centre of the book: the poet as a schoolgirl, or in later years with her grandmother in Tehran; her children, now grown; children in art; and an enduring sense of oneself as a child that is never left behind. Here is the essential Khalvati: exquisitely nuanced, formally accomplished, Romantic in sensibility; rapturous and tender in response to nature, family and love. 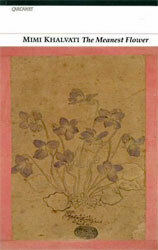 Wordsworth's 'meanest flower that blows' suggested to him 'thoughts that do often lie too deep for tears'. The lyrics, elegies, songs and ghazals in Mimi Khalvati's new book pay attention to things the imagination generally disregards, an attention that is concentrated, intense and unapologetically Romantic. Hers is the true voice of feeling, undeflected by irony or self-deprecation. 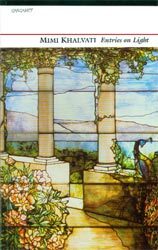 There is rapture in these poems as well as a tragic sense: nature, childhood, motherhood and family relationships all have a double valency, a give and take, to which Khalvati witnesses with a feeling sharpened by love and grief. Mimi Khalvati weaves themes rooted in her childhood home, the Isle of Wight. She considers the houses in which she lived, the past coming into focus, and the most memorable feature of the island landscape, the chine. 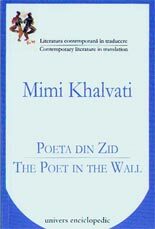 These poems also concentrate on family themes that allow Khalvati to demonstrate her lyrical skills while exploring the necessary connections between love in all its forms. 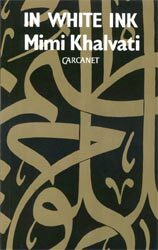 Mimi Khalvati's Selected Poems draws on her three Carcanet collections, In White Ink (1991), Mirrorwork (1995) and Entries on Light (1997). 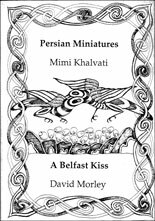 It provides us with the essential Khalvati, from the ambitiously wrought early formal poems, full of Persian and personal shadows, through to the meditations in the long sequence Entries on Light. Entries on Light is a series of meditations on light, on what light is and does, how --as it changes -- it invents and reinvents the things we see, are and were, how it inscribes our shadows and our feelings. 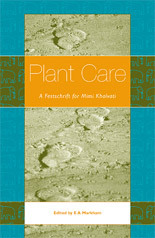 Mimi Khalvati has always had a well-trained eye; she is also formally among the most resourceful poets writing today. If at times we think of Constable in the billowing movement of her fuller stanzas, we also -- in short-phrased sections -- are put in mind of the flat skies of Hokusai. She is a poet in whose vision east and west join. In Mirrorwork, Mimi Khalvati takes the Islamic art of mirror-mosaic as metaphor. 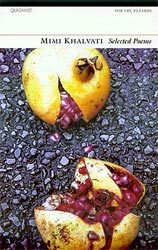 The shorter poems refract one another, the three long sequences act as a mirror tryptych, their themes – of art, nature, domestic life and memory, east and west – drawing the other poems together. 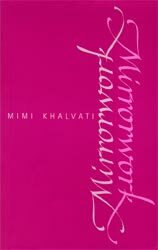 In Mirrorwork, Khalvati at once establishes a voice and questions its integrity. Mimi Khalvati's first book of poems takes its title from Hélène Cixous' observation that women write 'in white ink'. 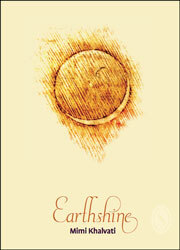 The resonances of this phrase are explored in many of these poems. 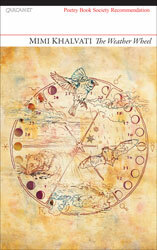 Writing in her adoptive mother tongue, Khalvati explores loss and recovery of country, language, family and power. The poems affirm the centrality of women and their relationships and celebrate, too, with candour and gentleness, the power of motherhood.